Dr. Vincent Edward Oluwole Adejumo is a Summer 2015 graduate of the University of Florida’s Political Science PhD program majoring in policy and administration. He is currently a fulltime lecturer in the African American Studies program teaching Intro to African American Studies in classroom and online, The Wire, Mentoring At-Risk Youth, Black Wall Street, and Black Masculinity. Dr. Adejumo started his academic career at the Florida State University, earning a bachelor’s of science degree in Business Administration, triple majoring in Business Management, Management Information Systems, and Human Resource Management. He then went on to work at Strayer University as a manager of admissions in Atlanta and Augusta Georgia, Washington D.C., and Philadelphia Pennsylvania, while at the same time earning a Masters’ degree in Public Administration at Strayer. While enrolled as a student at the University of Florida for his PhD from 2011-2015, Dr. Adejumo was involved with numerous projects and organizations at UF and the Gainesville community. These endeavors included serving as President of the Black Graduate Student Organization from 2012-2013, committee member to approve the African American Studies Major at UF, committee member for the Bob Graham Center to select the Young Floridian Award recipient, and committee member to select the librarian for African American Studies at UF. 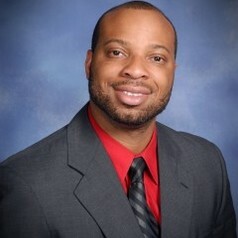 Due to his continued involvement and reputation for teaching at the University of Florida, in April of 2016 Dr. Adejumo was selected as the Professor of the Year by the Black Student Union for the 2015-2016 school year. He was also selected as the Professor of the Year by the UF College of Liberal Arts and Sciences for the 2017-2018 school year.